Dobyns-Bennett High School has named Joey Christian as head football coach. A native of northeast Tennessee, Christian has previously served as an assistant coach at Dobyns-Bennett since 2003. Published on April 23, 2018 at 5:06 p.m.
KINGSPORT, Tenn. – Dobyns-Bennett High School has named Joey Christian as head football coach. A native of northeast Tennessee, Christian has previously served as an assistant coach at Dobyns-Bennett since 2003. Christian inherits the program from Graham Clark, who is retiring from D-B at the conclusion of the 2017-18 school year. In his fifteen seasons on the D-B coaching staff, Coach Christian has played an integral role in program and player development as offensive coordinator and offensive line coach. During his tenure, the D-B program has compiled 132 victories and nine conference championships, along with 15 playoff appearances. 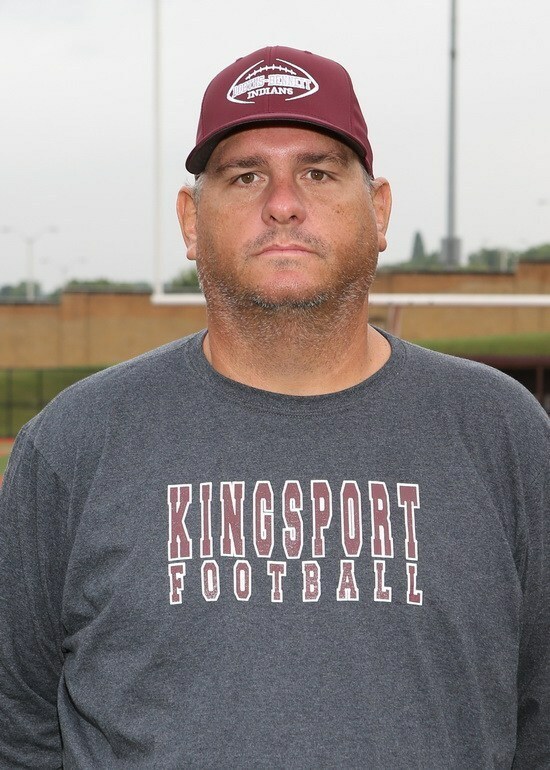 Coach Christian will be introduced to the media and Kingsport community on Wednesday, April 25, 2018 at 4 p.m. The press conference will take place in the Nancy Pridemore Theater on the Campus of Dobyns-Bennett High School (One Tribe Way).